Potential planning changes could have implications for our town centres, which is timely given the ongoing crop of high profile retail administrations. The Government consultation on Permitted Developments Rights covering the upward extensions of buildings to deliver new homes has just closed. What could it mean for towns across Kent, Sussex and Surrey? The first, and most limited, option in the consultation suggested development could be permitted above terraced buildings where there is at least one higher adjoining building, with the maximum height determined by the main roofline of the highest building. The document also mooted an alternative approach to “permit upwards extensions more widely to a height no higher than the prevailing roof height in the locality”. In both cases, it proposed the building height once extended should be capped at a maximum of five storeys from ground level. A third option suggested free-standing blocks of residential flats of more than five storeys could be extended upwards. This also canvassed opinions on the maximum number of additional floors that could be added. The Government is expected to respond to the consultation later this year. We can anticipate planning changes which will make it easier for owners to bring forward residential schemes on existing buildings, or possibly rooftop restaurants on former retail stores which themselves might see upper floor space converted to become residential. Inevitably there will be some opposition, especially in our more historic towns and cities, but local authorities will have to balance this against the positive impact. With the health of our town centres an increasingly hot political issue, we must expect a relaxation of certain planning restrictions in terms of the mix of use of buildings – and upward extensions is one of them. Steve joined Hobbs Parker from Canterbury City Council where he led the Development Management Team and has over 28 years’ experience of planning. His particular area of expertise is with major development projects, where he has significant experience of the handling of strategic residential and commercial schemes. 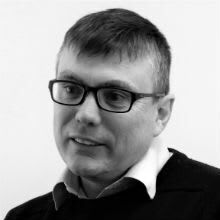 Steve has extensive knowledge of planning procedures and case law and can draw on his wealth of experience to provide incisive planning advice.